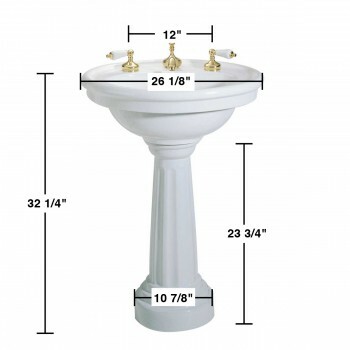 32-1/4" High x 26-1/8" Wide x 19-3/8" Proj. 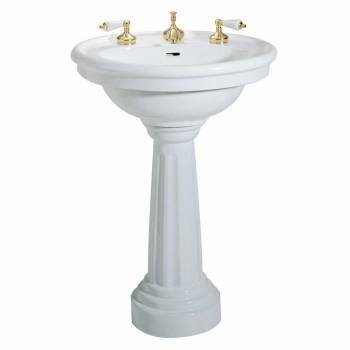 The Philadelphia model features a white china backsplash rim for wall protection and an authentic Renovator's Supply logo. 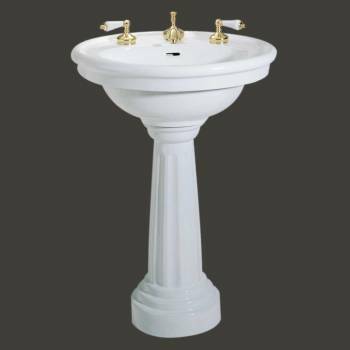 This "Philadelphia" widespread Standing pedestal sink is manufactured in grade A white vitreous china by Renovator's Supply. Finished with proprietary Reno-Gloss white china coating for easy cleanup and scratch and stain resistance. The standing pedestal sink has an open back to hide pipes and promote easy installation. 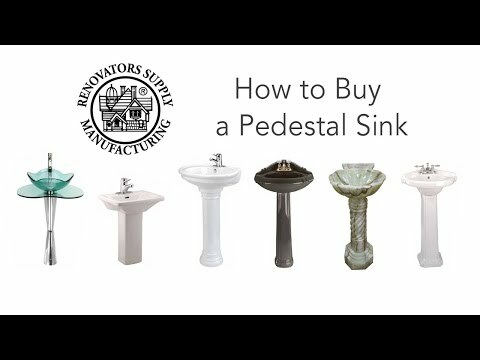 The Philadelphia bathrooms pedestal sinks uses an 8" widespread faucet (SOLD SEPARATELY). Dimensions: 32-1/4" height x 26-1/8" width x 19-3/8" projection. ASME compliant. Install Style: Free standing & Wall Mount.